Wessling (Germany), 16 November 2016 – With its mountain bike frame milled from solid stock, North Bucks Machining Ltd, based in Milton Keynes, UK, has created a new reference workpiece that demonstrates the many possibilities offered by the hyperMILL® CAM suite from OPEN MIND Technologies. Engineer Steward Palmer introduced the hyperMILL® CAM system to his parents' family business to make more efficient use of the company's 5-axis machining centre. 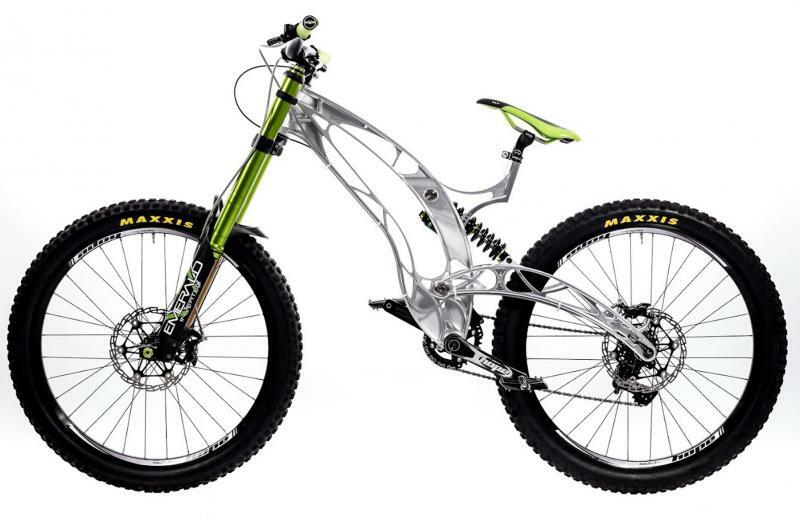 The extremely powerful machining strategies of the CAM software allowed him to realise his personal dream of developing his own weld-free and weight-optimised downhill mountain bike frame. 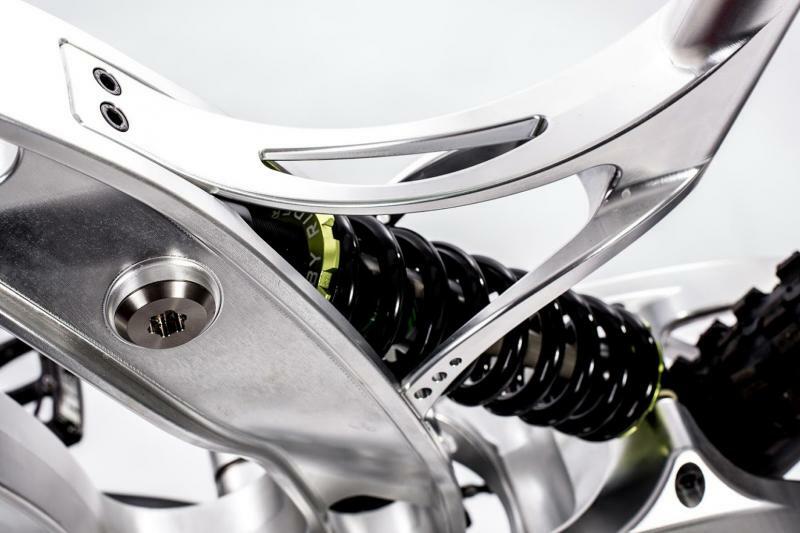 An aluminium frame weighing less than 7kg was machined from raw material with a starting weight of 165kg. But this isn't enough for Palmer: He now seeks to further enhance the design of the frame to reduce the overall weight to 5kg. The finishing strategies offered by hyperMILL® were also very important as the bike frames produced by North Bucks Machining do not undergo secondary finishing operations. It's only since calculating the toolpaths with the CAM software from OPEN MIND that the company has been able to achieve the desired surface finish. OPEN MIND develops optimized CAM solutions that include a high number of innovative features not available elsewhere to deliver significantly higher performance in both programming and machining. Strategies such as 2,5D, 3D as well as 5axis milling/mill turning, and machining operations like HSC and HPC are efficiently built into the hyperMILL® CAM system. hyperMILL® provides the maximum possible benefits to customers thanks to its full compatibility with all current CAD solutions and extensive programming automation. Video: hyperMILL® in action at North Bucks Machining.